Have you been looking for a way on how to update XMBC and turn it into Kodi media player? 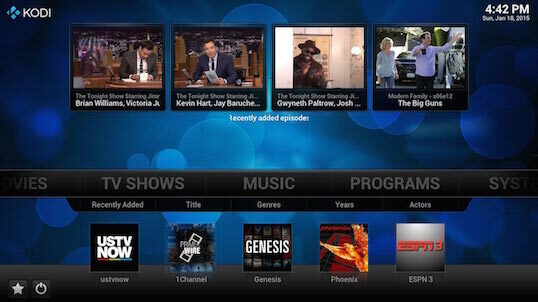 The update for XBMC is out now and you can upgrade your old XBMC to the new much better Kodi Media Centre. The new name “Kodi” also brings in several key improvements including library improvements, improved support for android boxes and ATSC sub-channels in the US and adds more user controls as well. So if you are wondering how to update XBMC on Apple TV 2 or any other device, then simply follow this super-easy guide to update your old XBMC to the new Kodi version. Create a backup of your existing XBMC data so that if something goes wrong, you can still revert to your older version. Get the required Kodi download from the Kodi downloads page. If you are wondering on how to download Kodi installer, simply click on the suitable platform version to install it. Step 1: Click on the Windows Kodi installer you downloaded from the above link and follow the on-screen instructions to get it installed. Step 2: Your settings and libraries will be automatically imported from XMBC to Kodi and are stored in the directory C:\Users\UserName\AppData\Roaming\Kodi. Step 3: Now simply uninstall XBMC from your system to complete the process. And that’s it! Your XBMC is updated to Kodi media center on Windows successfully. Step 1: Install the required Kodi.dmg you downloaded from the Kodi download page link given above. Step 2: Now open Kodi and make sure that all the settings and libraries have automatically been imported from XBMC to Kodi. Step 3: Now simply remove the XBMC application and its settings and libraries folder to complete the update. And that’s it! XBMC is successfully updated on your Mac. 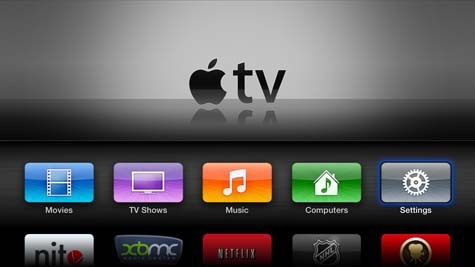 Now for our readers who are trying to find a guide on how to download XBMC on Apple TV 2 can follow the steps below to do the same. But before you begin, make sure that your device is jailbroken and then continue with steps below. Note: The steps given below are to be done using Terminal on OS X. Step 4: Now the last step, installing Kodi on your Apple TV 2. So first of all enter command ssh root@your.atv2.ip.address to SSH into your Apple TV 2. If asked for the password, enter the default password “alpine”. Finally, reboot the device to finish updating XBMC on your Apple TV 2. And that’s it!Updating to Kodi can easily be done following the steps above. So go on and upgrade your old XBMC to the new Kodi media center to enjoy the additional features added. If you need more help with how to backup XMBC, you can always follow the detailed guide given on InfoRaid.